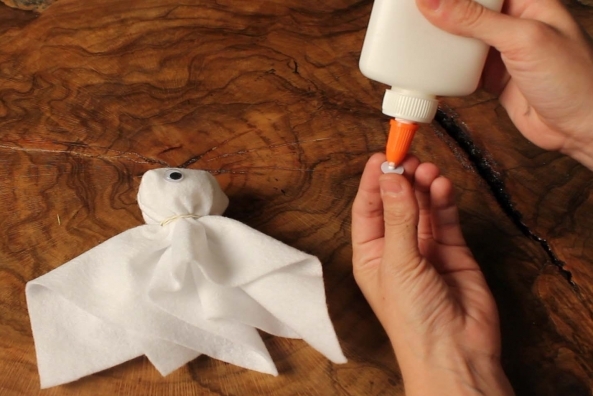 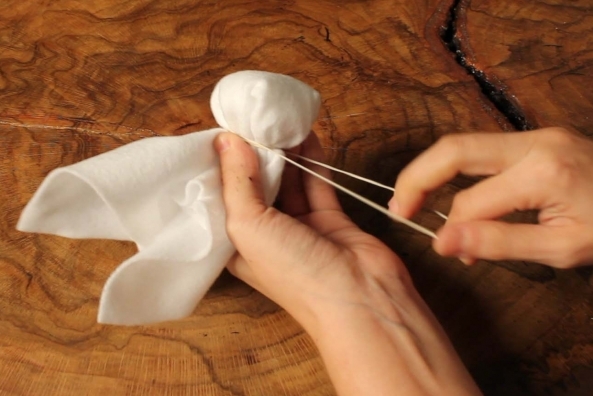 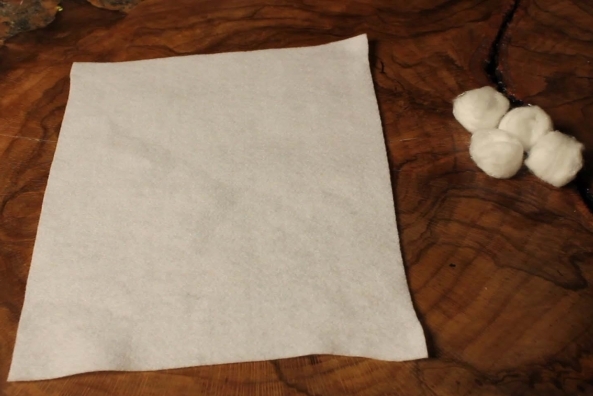 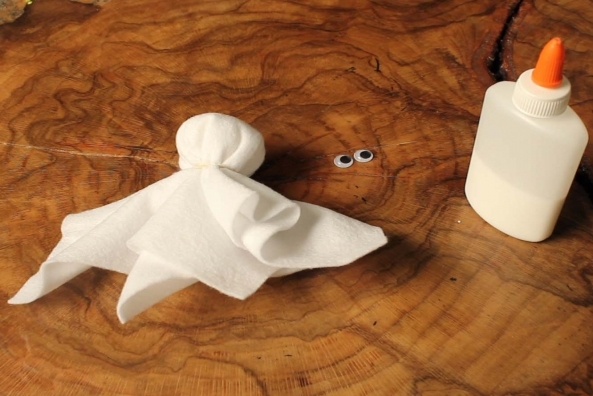 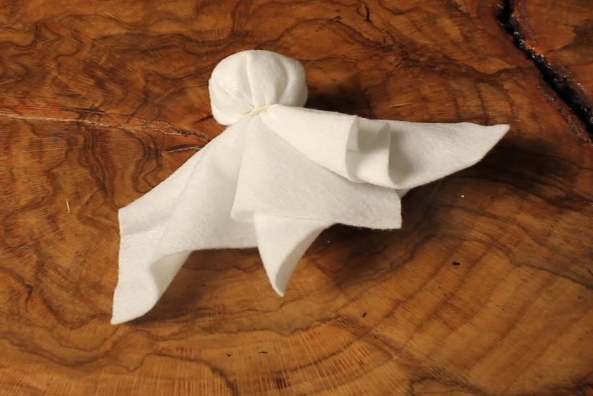 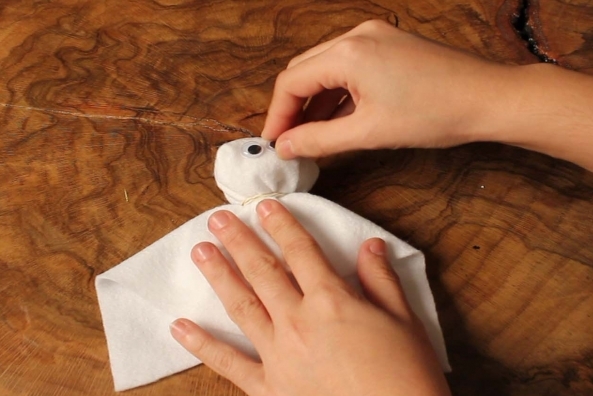 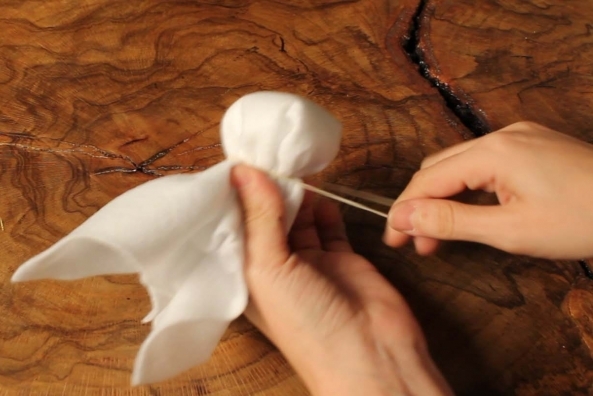 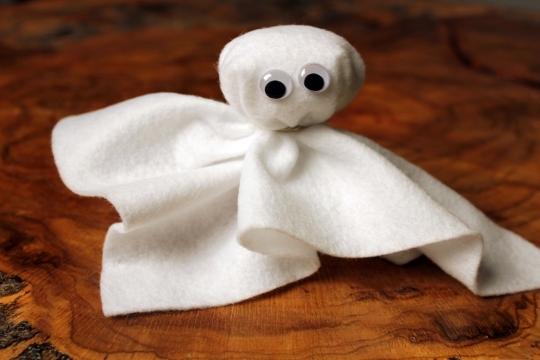 Grab some cotton and felt and two wiggly eyes and make the easiest ghost ever! 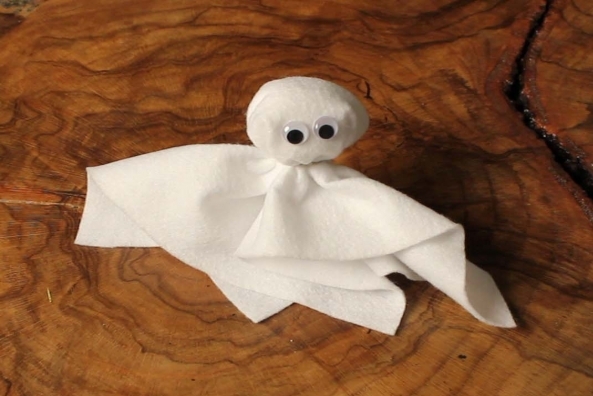 Hang from the ceiling to be extra spooky. 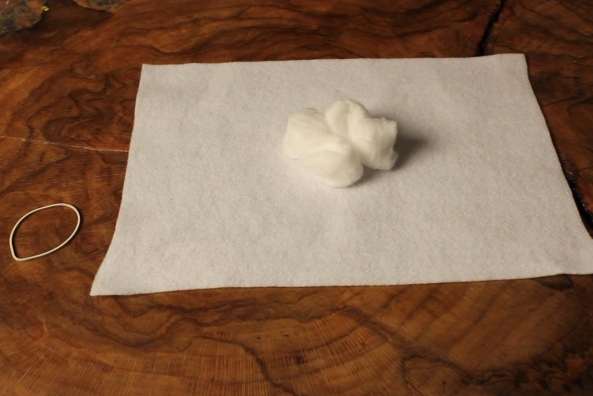 Set up felt and cotton. 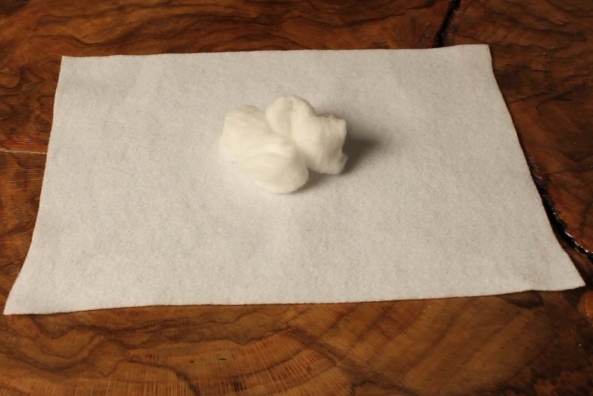 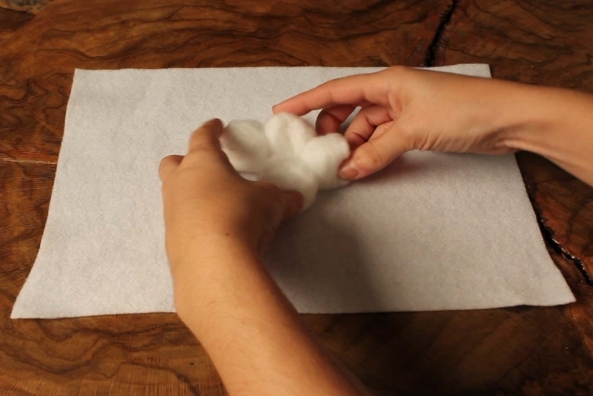 Lay a piece of white felt down and put four cotton balls in the center. 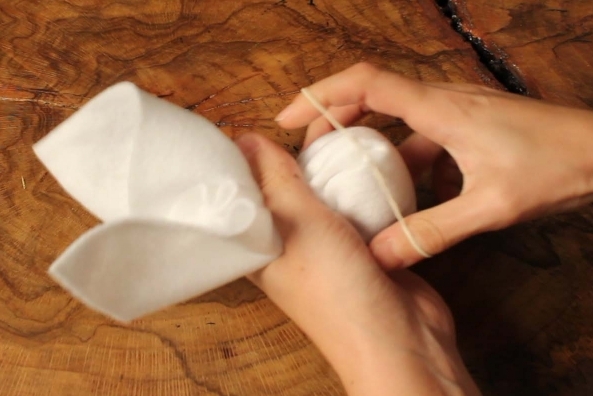 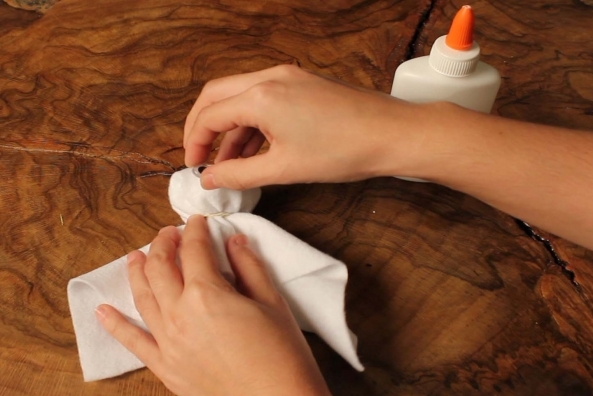 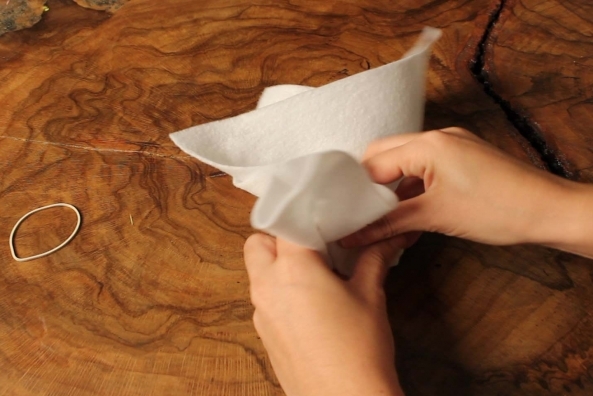 Gather the extra felt from around the cotton balls and secure it together with a rubber band. 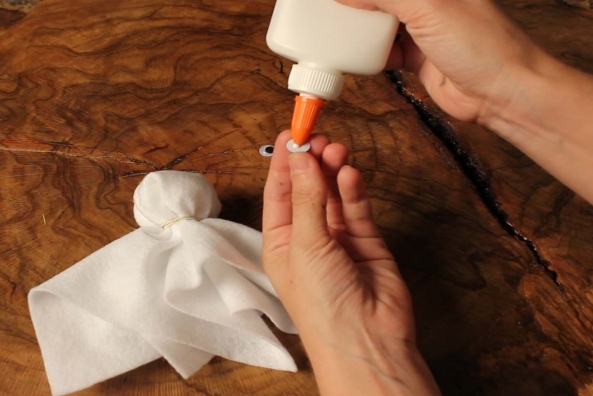 Glue two wiggly eyes onto the ball you just made.